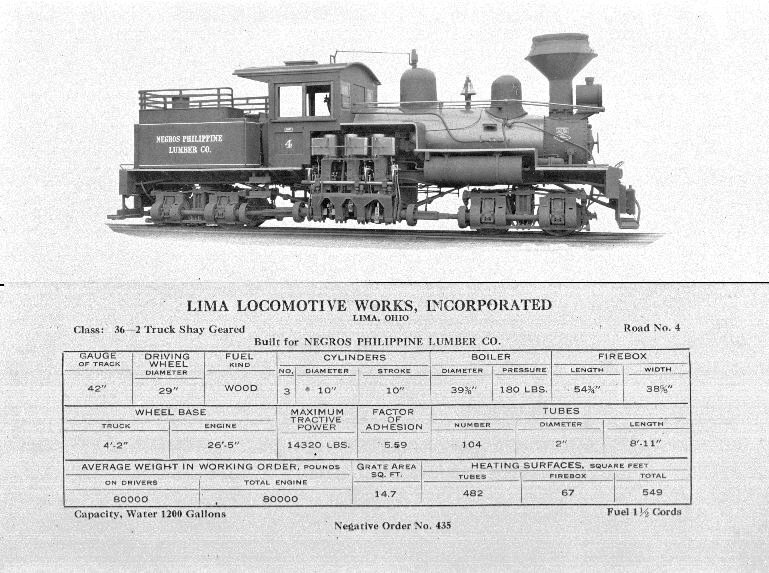 It cost $9500 as delivered and was lettered for the Natchez, Columbia & Mobile RR. 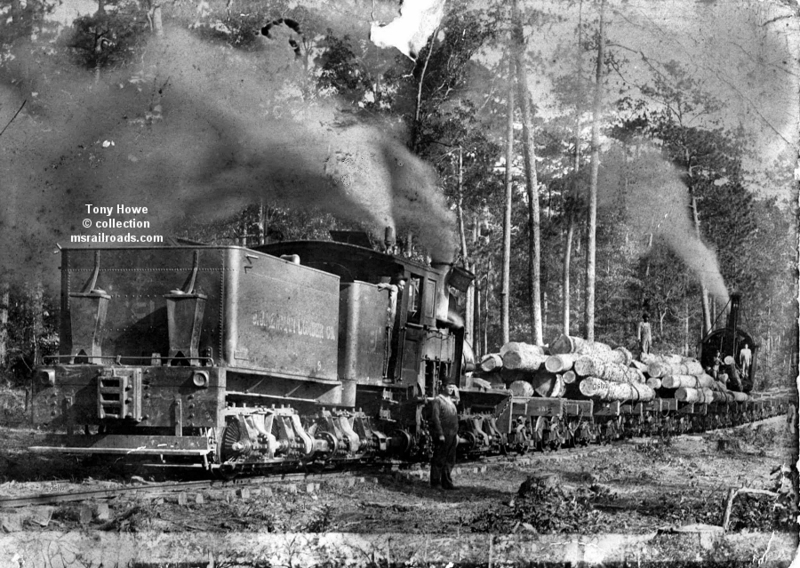 Shown about a year old, south of the Divide community in Lawrence County, Mississippi. 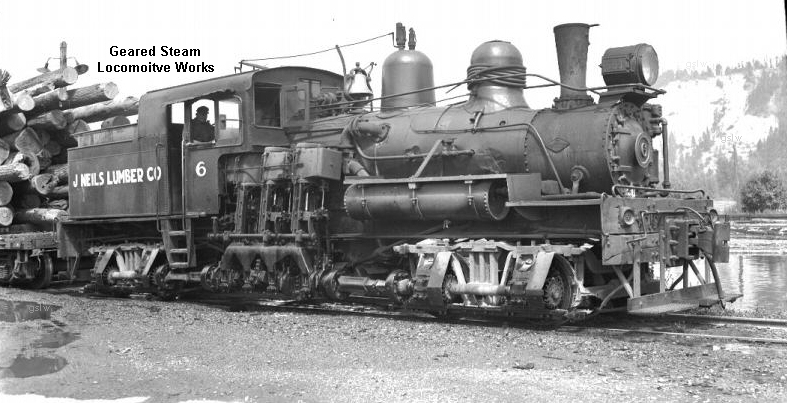 Norfield was located on the Illinois Central RR a few files south of Brookhaven, Mississippi. 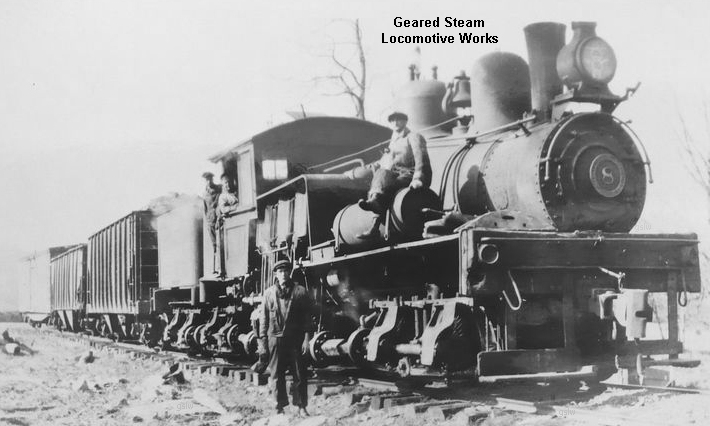 The name "Norfield" was a contraction of the last names of the founders of the huge mill there "NORwood and butterFIELD." 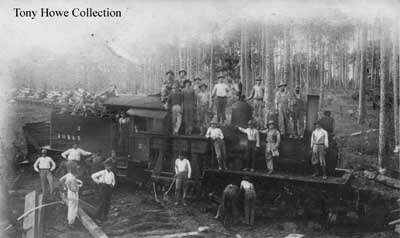 The railway, owned by the Urania Lumber Co., was located near Urania, Louisiana. 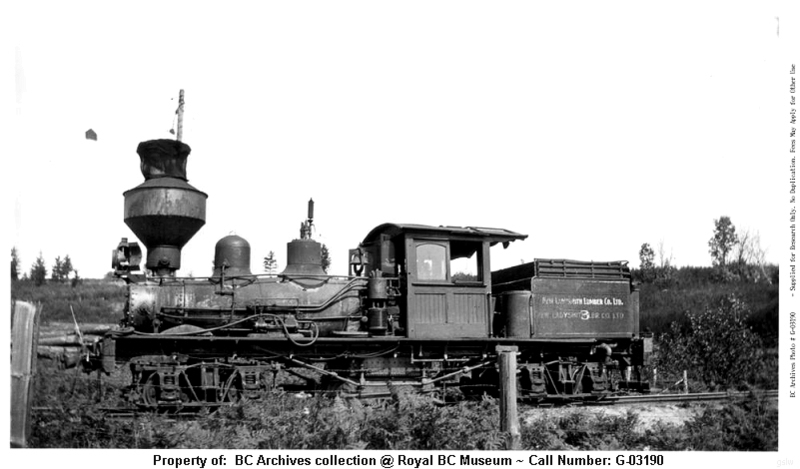 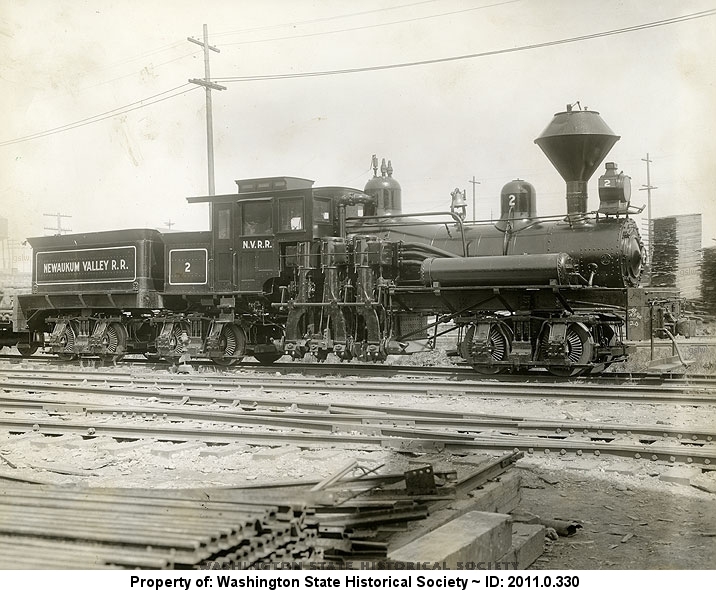 The locomotive operated at the company's Cedarville, Washington location. 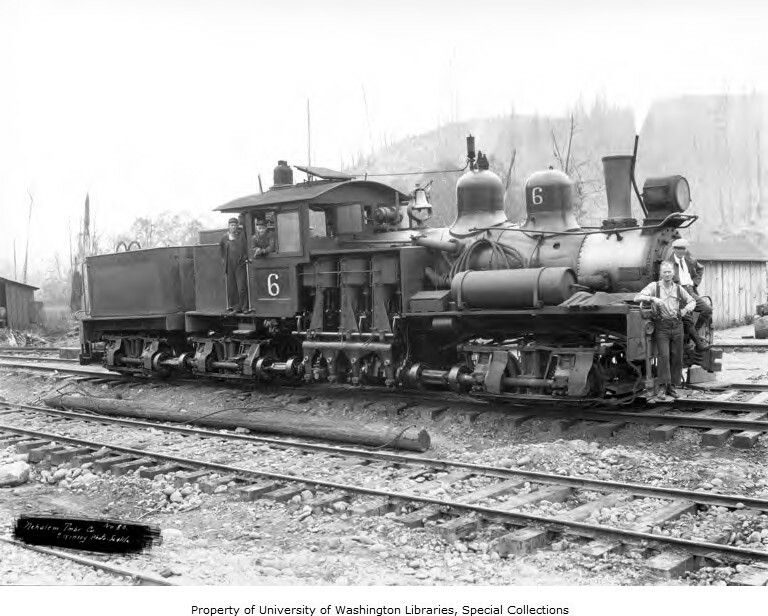 The locomotive operated near Scappoose, Oregon. 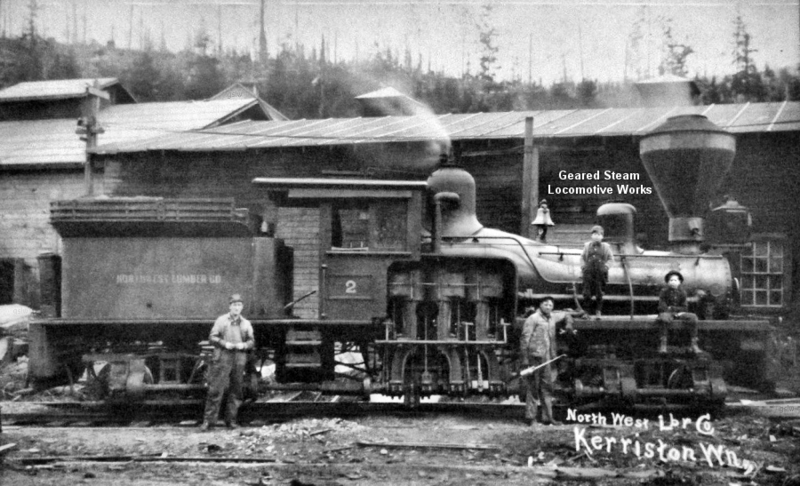 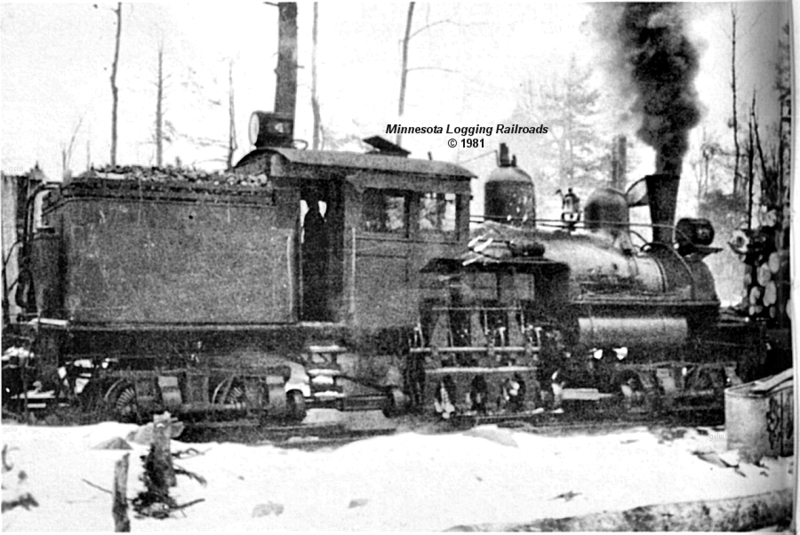 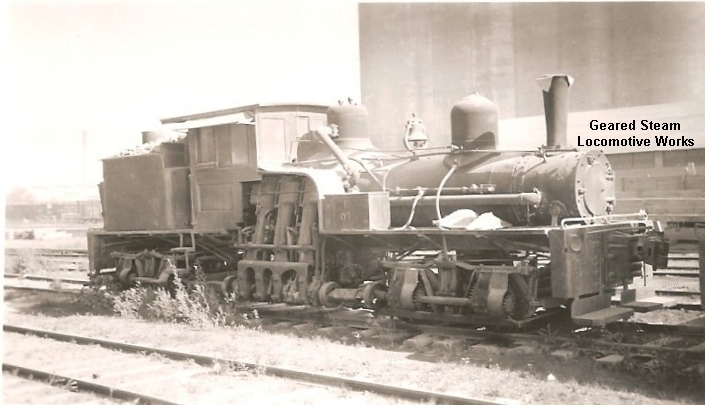 The locomotive operated near the company's Scappoose, Oregon location. 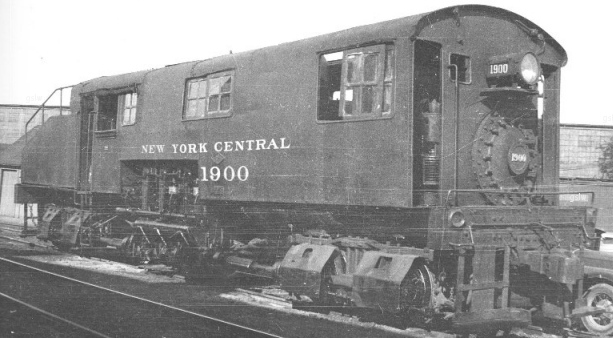 It was one of the very small number of Shay's with the smoke box door hinged on the left (facing the door). 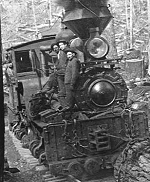 The locomotive was owned by the Natalbany Lumber Co. 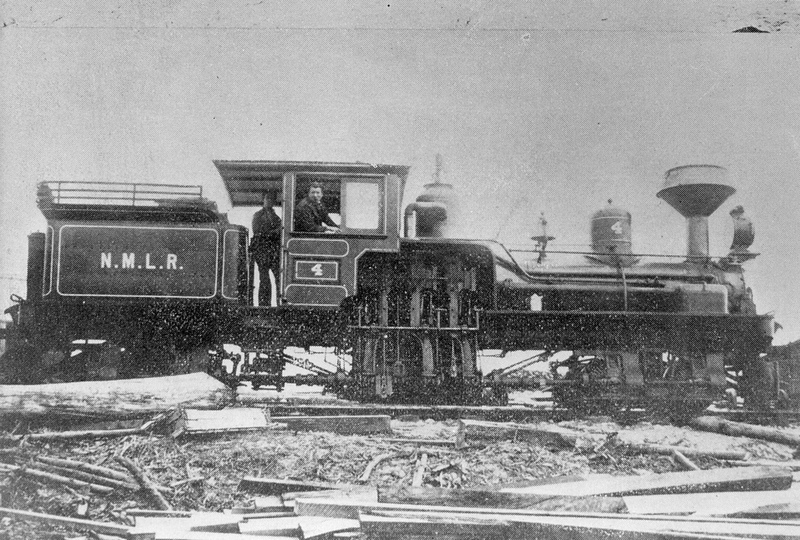 The locomotive operated at the company's Sumrall, Mississippi location. 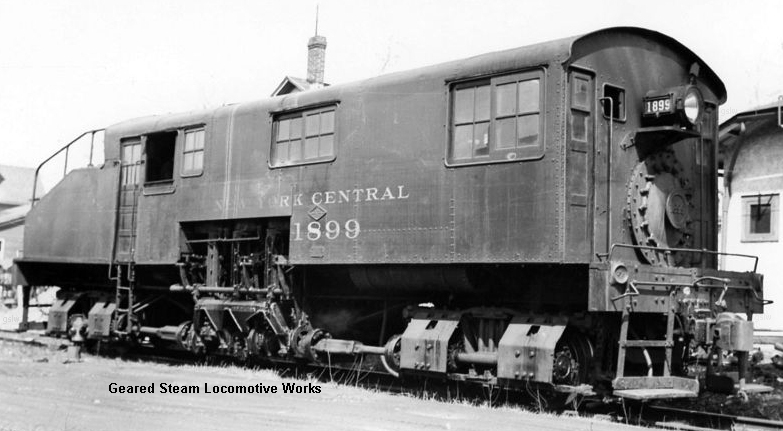 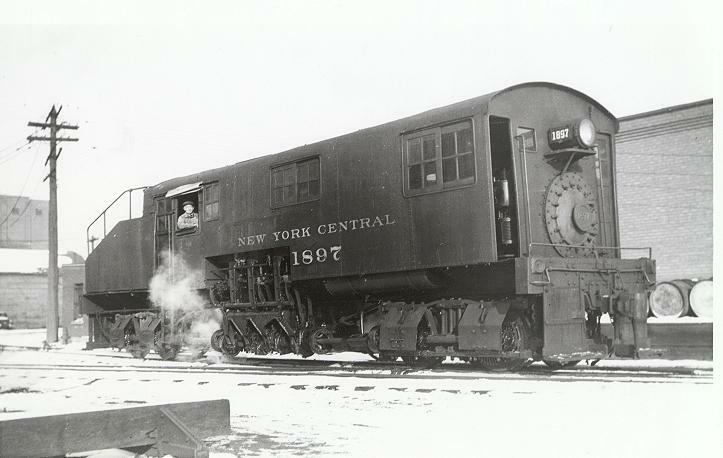 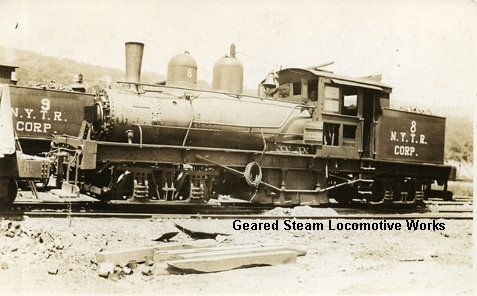 It spent its earlier years numbered #7 and lettered with the company's railroad name: Pearl & Leaf River Railroad. 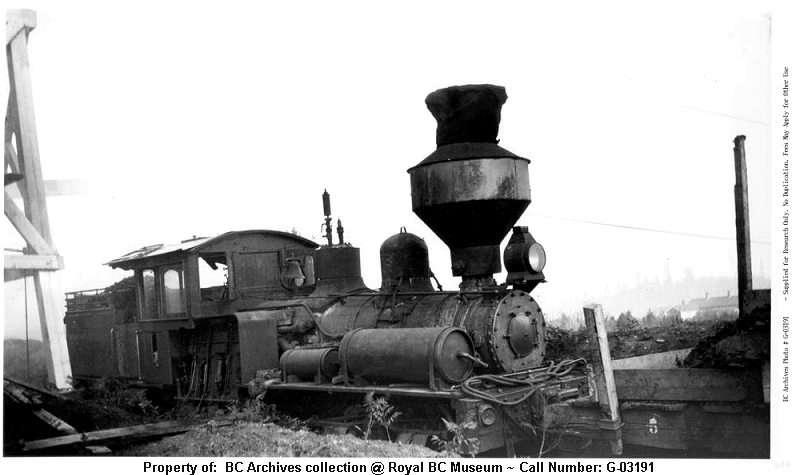 The photo is part of the Tony Howe collection. 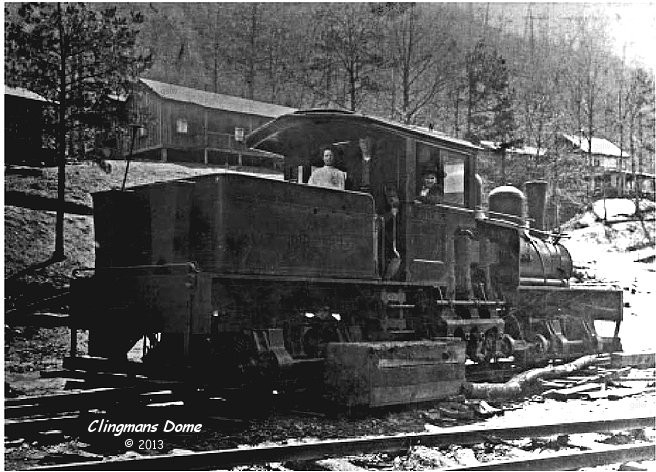 From "Steam Whistles in the Piney Woods - Vol 1." 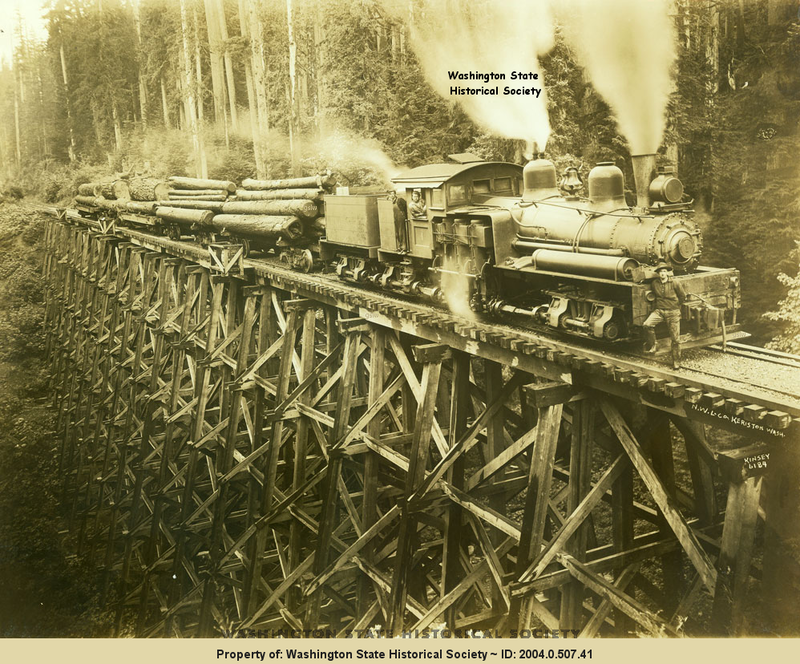 - posted with publisher's permission. 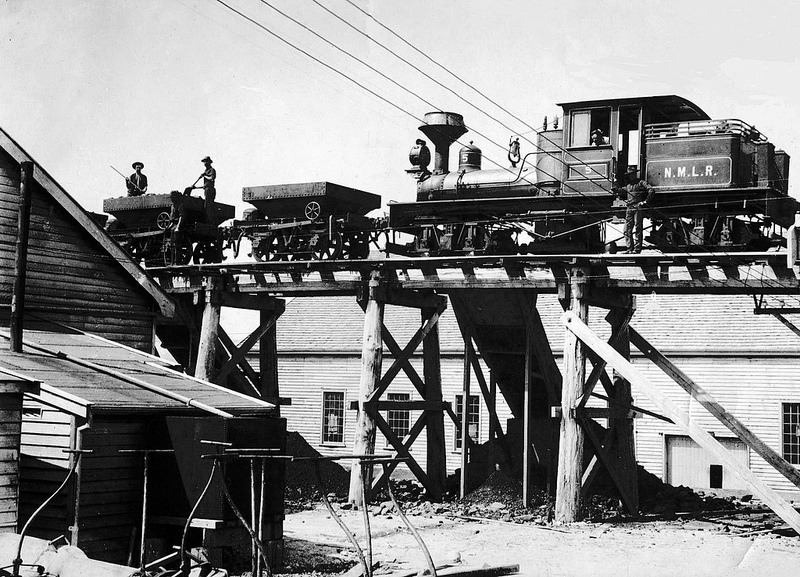 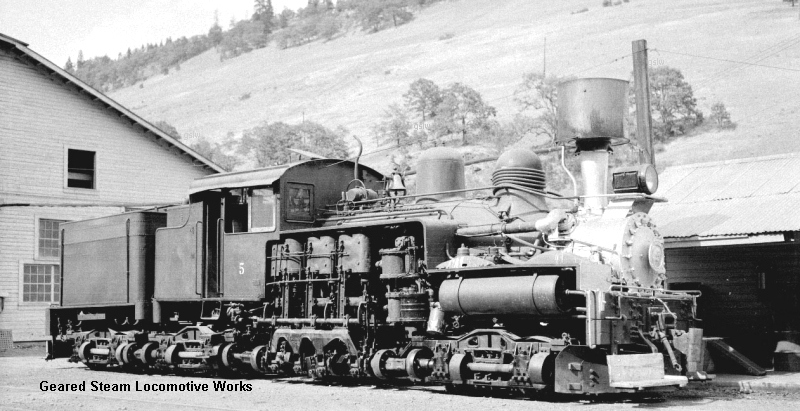 The locomotive operated at the company's Cromberg, California location. 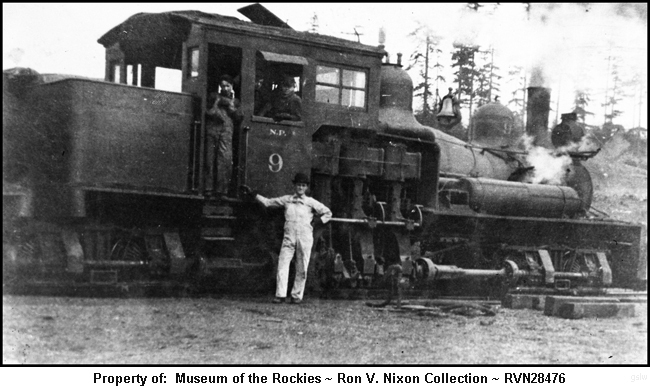 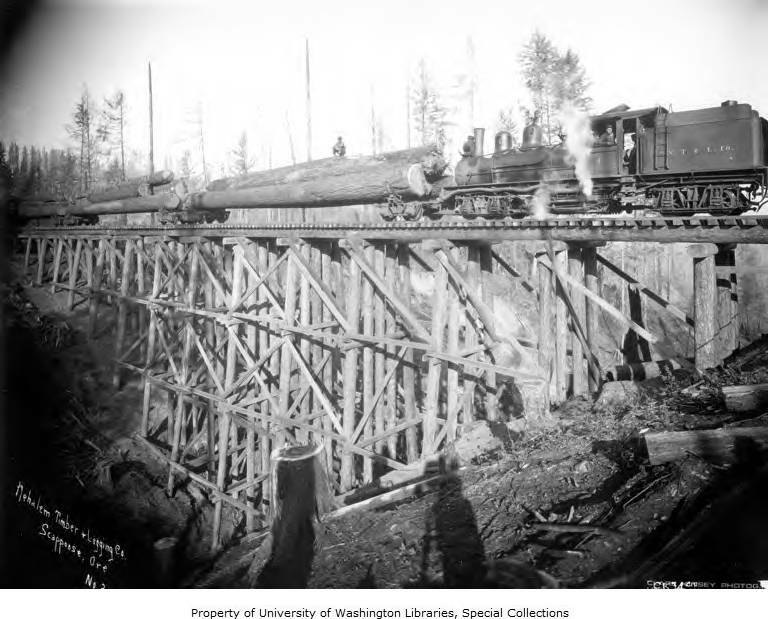 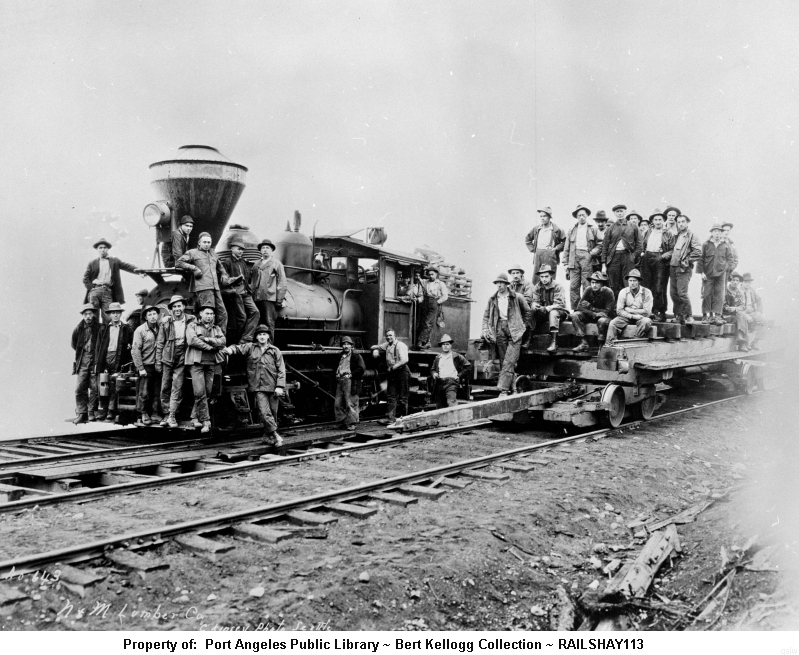 The locomotive operated near Rochester, Washington. 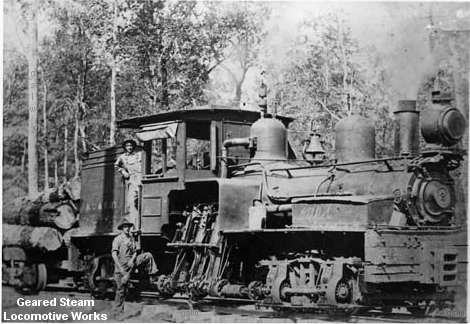 The locomotive operated near Lyons, Colorado. 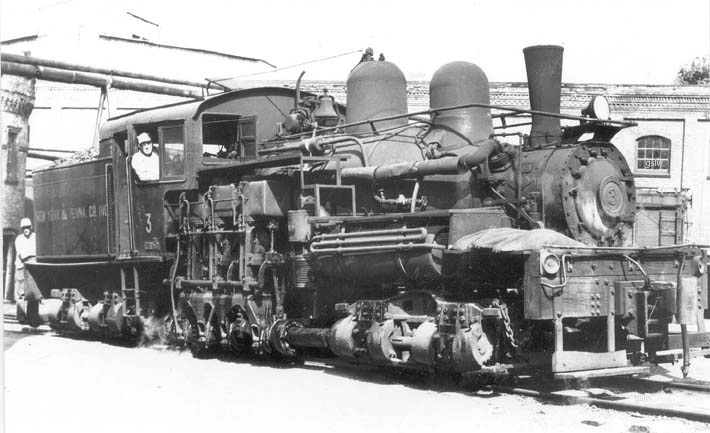 Note the circular disks at the bottom leading edge of the pilot step. 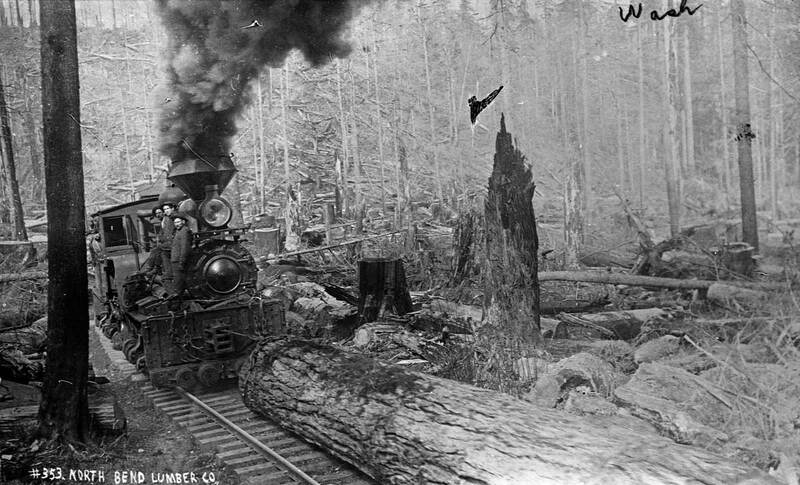 These are believed to protect the pilot from damage by logs when "trailing" them. 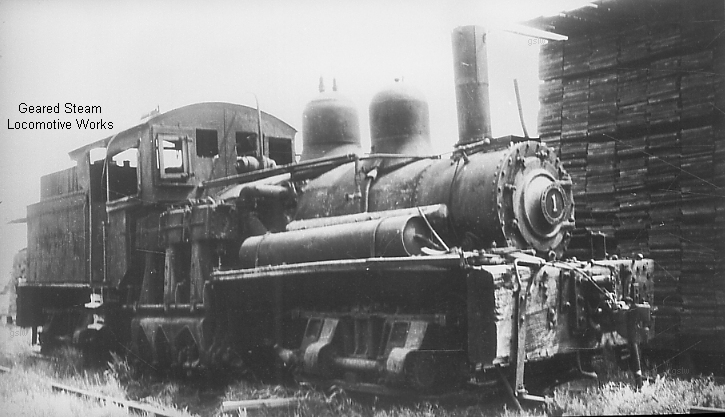 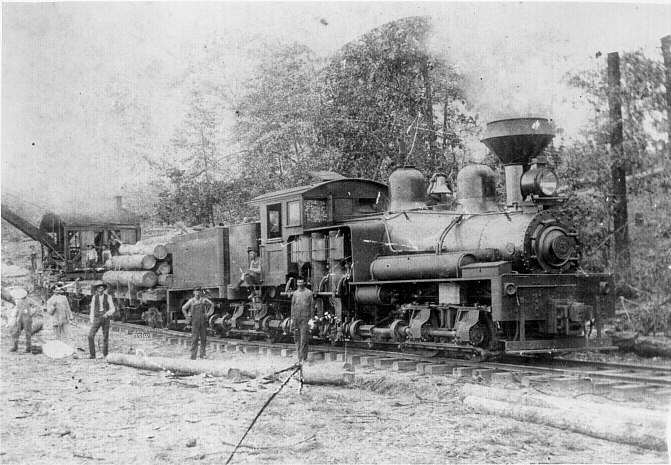 The locomotive operated at the company's Philippine Islands location. 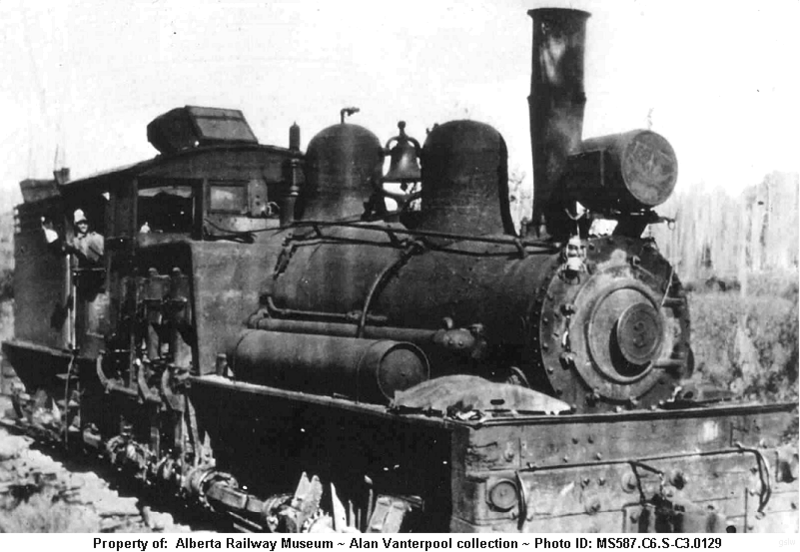 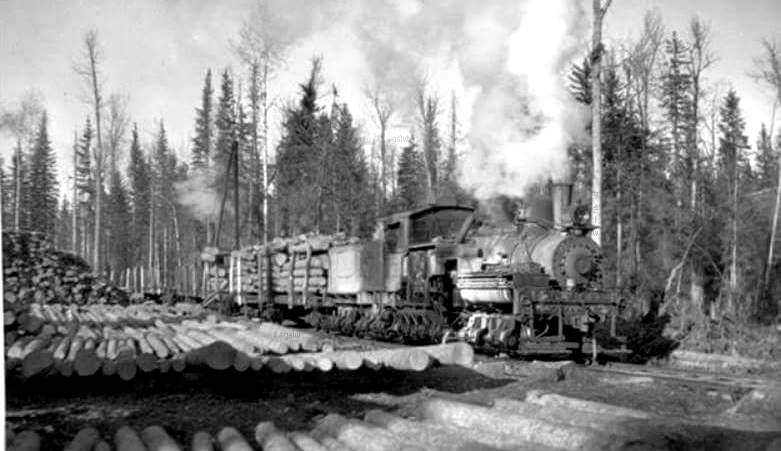 The locomotive operated near Green Court, Alberta, Canada. 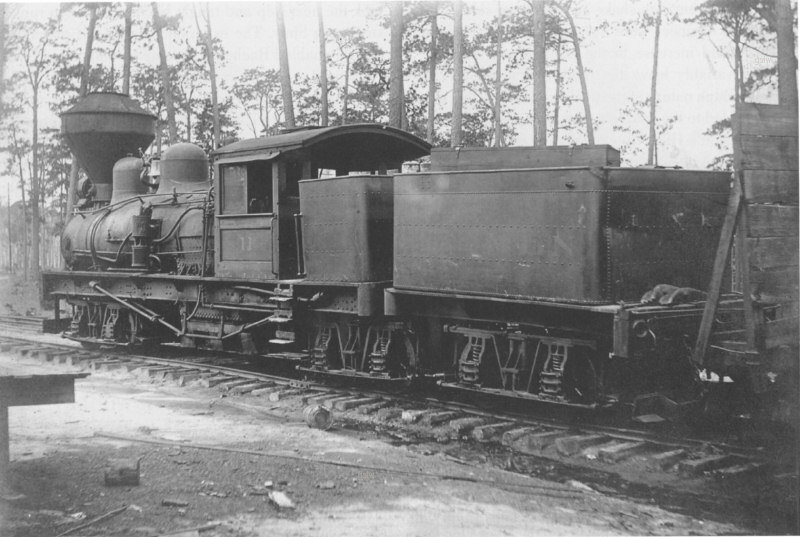 It was their 2nd locomotive to carry the #1 road number. 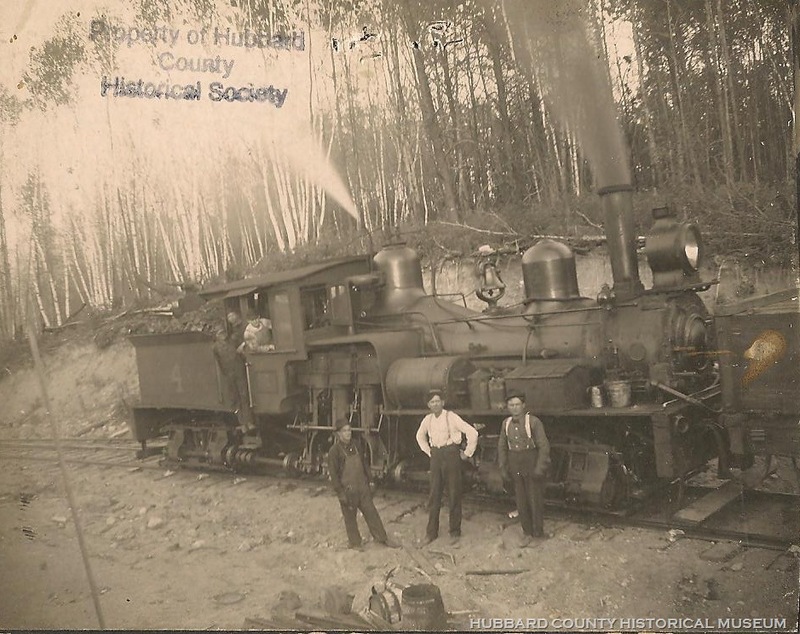 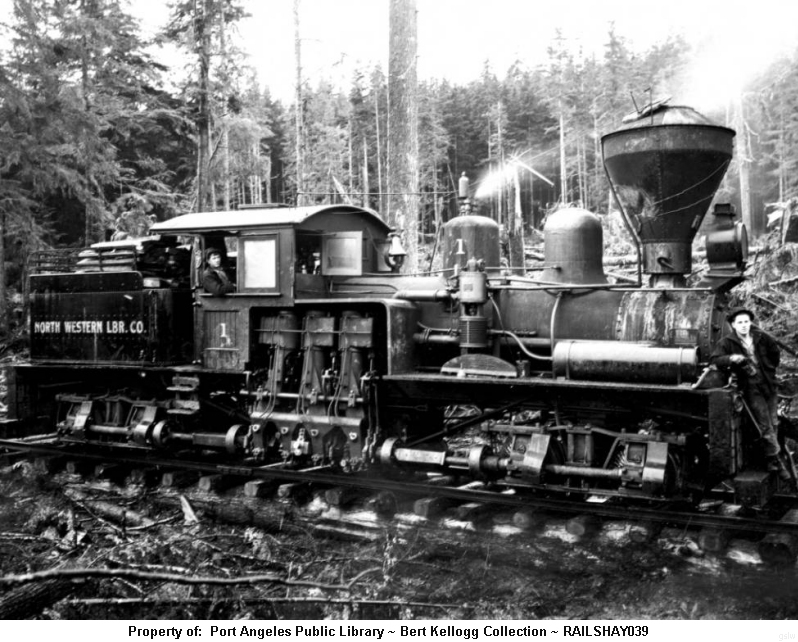 The locomotive operated near Hoquiam, Washington. 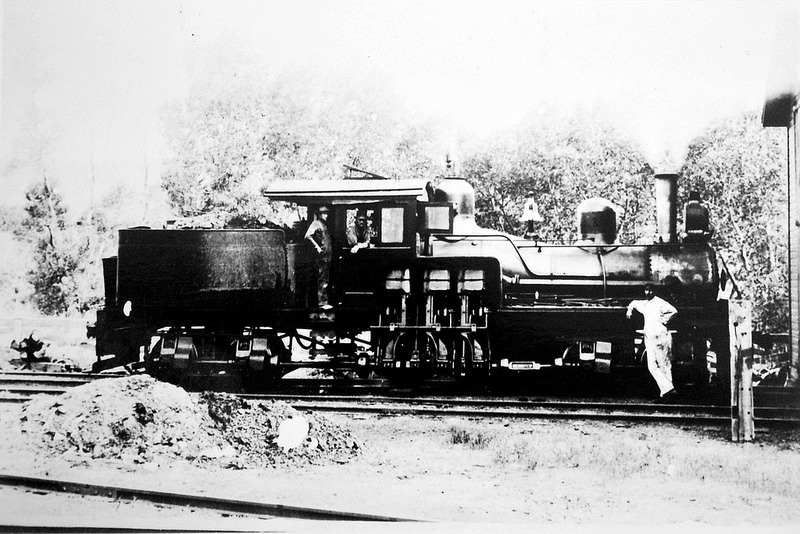 The locomotive operated near Willits, California.